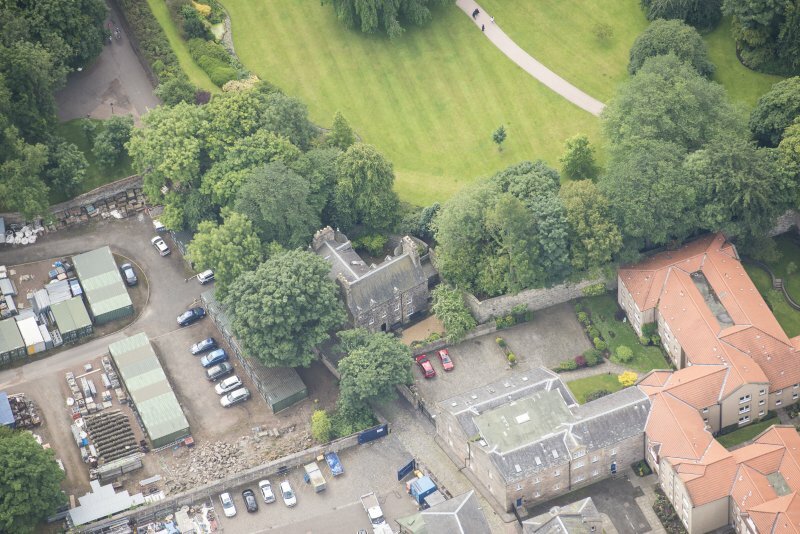 Oblique aerial view of Edinburgh centred on Holyrood Palace and Abbey, taken from the SW.
Oblique aerial view of Croft an Righ House, lookingS. 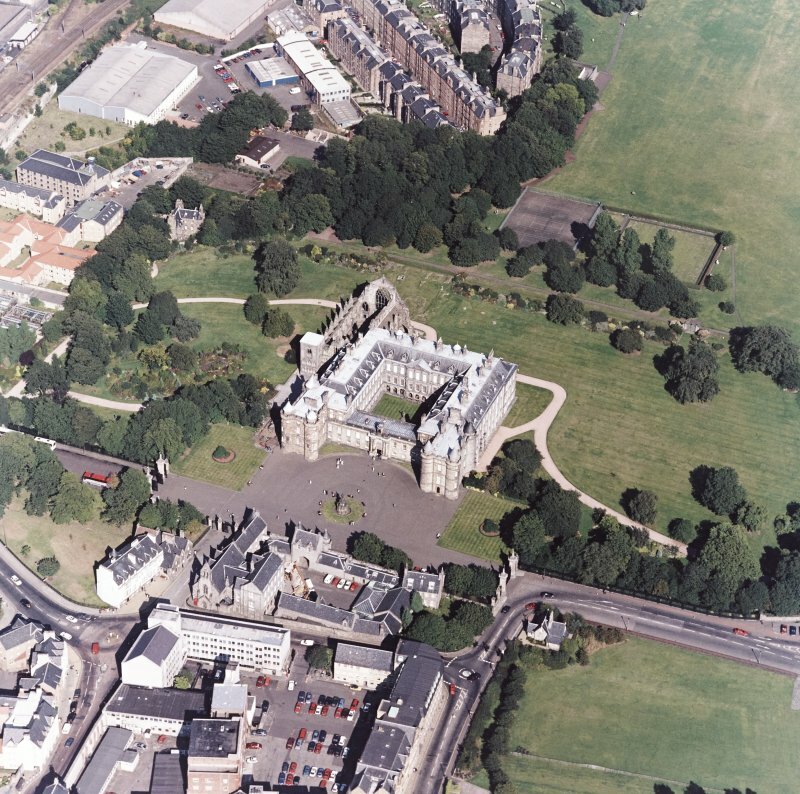 Edinburgh, oblique aerial view centred on Holyrood Palace and Abbey, taken from the NNE. 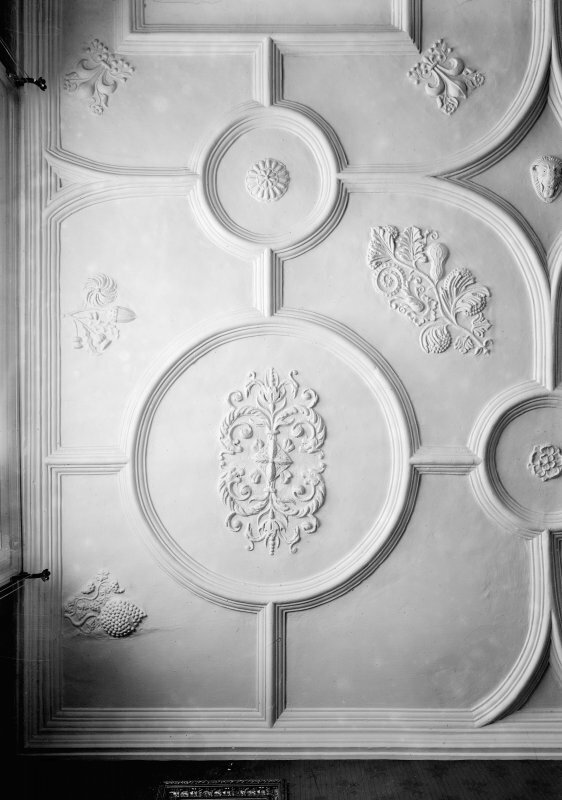 Interior-detail of plaster ceiling in Parlour, Croft an Righ House, Edinburgh. Oblique aerial view of Croft an Righ House, lookingSE. The name Croft-an-Righ, meaning "the king's field", applies to a little L-shaped mansion immediately outside the N garden of Holyroodhouse. 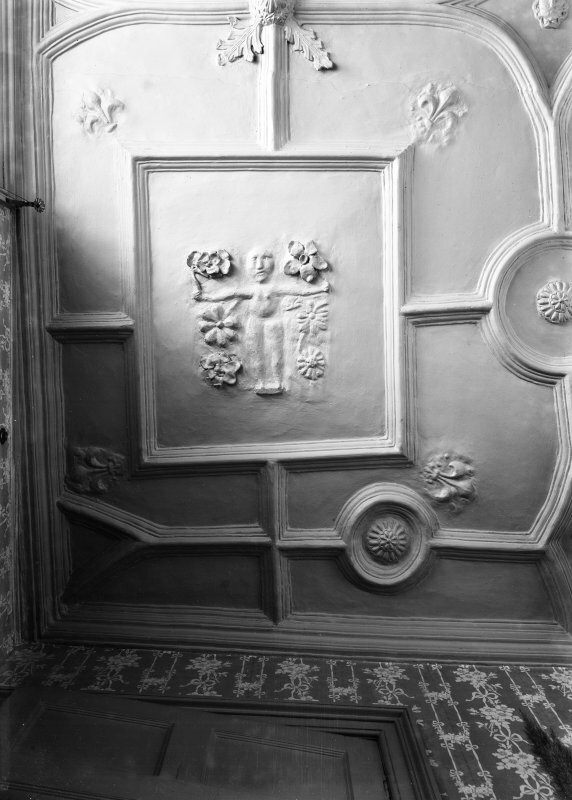 Judging by its architectural detail, it dates from the 16th century, and was extensively remodelled in the 17th century. 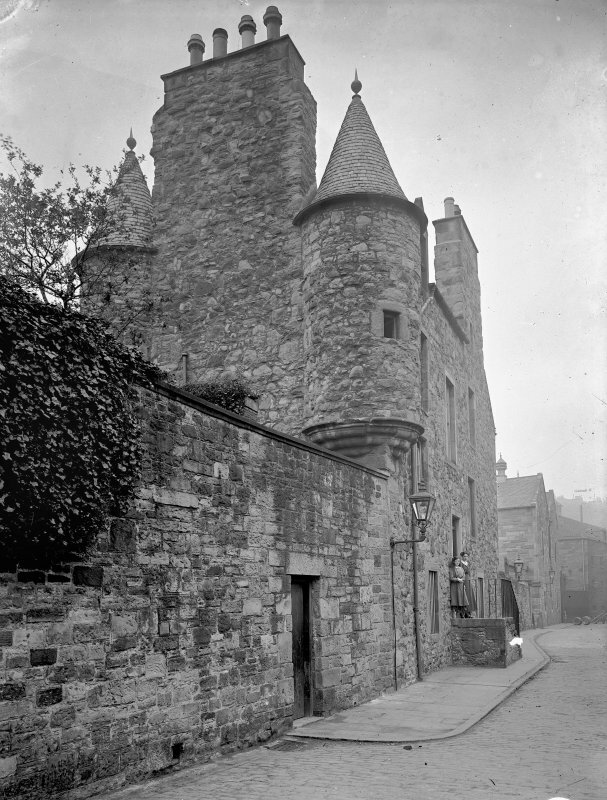 The house is popularly associated with the Regent Moray who was assassinated in 1569-70, a date which seems too early for any part of the present fabric. 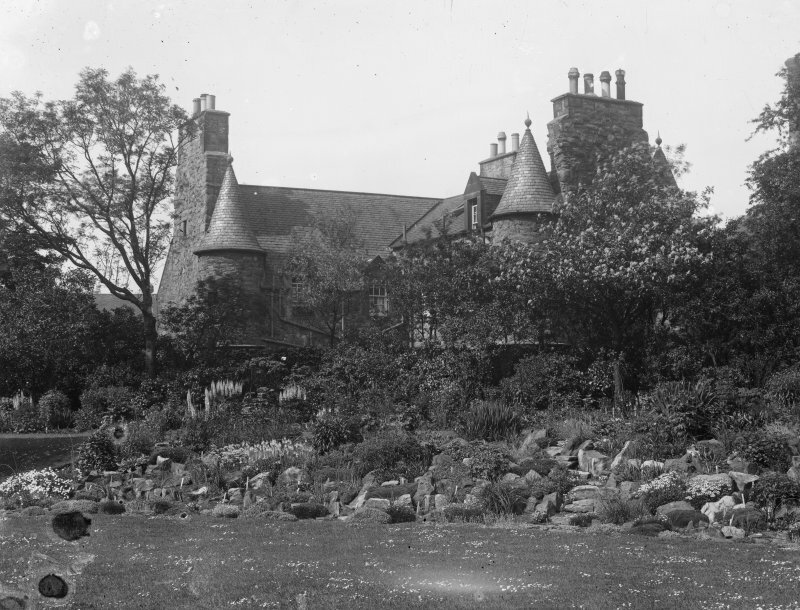 Wilson (1848), however, points out that it answers generally to the description of a house, sometime the property of Lord Elphinstone, which William Graham, Earl of Airth, bought from the Earl of Linlithgow. Within two years of the sale, the house took fire and was "totallie burned" which may explain the traces of rebuilding so evident here. The house was reconditioned some years ago by H M Office of Works, and is now subdivided into two dwellings which are in use. D Wilson 1848; RCAHMS 1951. This house is generally as described in previous information. It is still habited. Visited by OS (S F S) 3 December 1975. This is a 16th Century laird's house. L-plan with turrets. 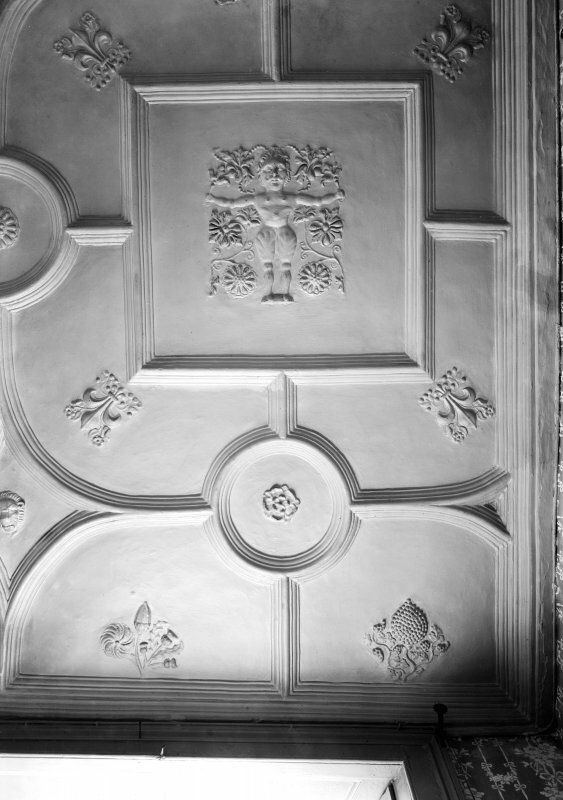 Fine plaster ceiling. In possession of Ministry of Works and Buildings. National Buildings Record: 1 page in pencil, Ferguson sketch book no.9. Edinburgh. Garden of Croft-an-Righ. Feuing plan, 1768. NT 2695 7409 to NT 2713 7401 A watching brief was maintained, 4–12 December 2007, during the excavation of a new service trench. The trench ran from a point opposite the entrance to Croft An Righ House to a point just W of the Education Centre. The cut consisted of three sections. 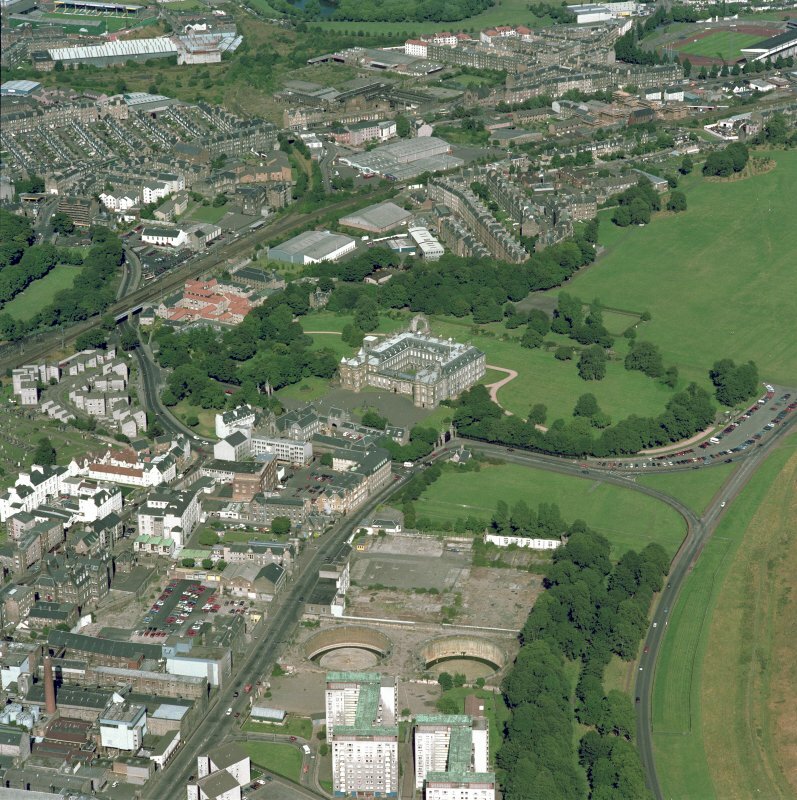 The first ran S along Croft-An-Righ towards the entrance to Holyrood Park, a distance of c35m. The next section ran diagonally across the present tarmac roadway to meet up with N side of the path to the Education Centre, a distance of c20m. The third trench was cut along the N side of the existing path leading to the Education Centre, c110 m. The N/S section of the walling along the E side of Croft An Righ was also examined. The area generally affected by the service trench was formed as a result of landscaping over various late medieval structures and road alignments from the early 18th century to the later 19th century. The present N area of the park largely represents the infill of a shallow slope which runs down from a point a short distance N of the tennis courts. At its deepest the infill is up to 1m deep (on the evidence of the threshold of a surviving door in the residual N wall of the park). Based on the sequence of building, excavated evidence from the first section of the trench and historic map evidence three episodes of activity were identified. 1) Mid 17th to mid 18th century – Masonry may represent parts of the 17th- and 18th-century layout of walls at the S end of Croft-An-Righ. There is evidence to indicate the gateway was still in place in 1742. 2) Mid 18th to mid 19th century – The gateway was rebuilt a short distance to the N, with the construction of a stone buttress/gate pier with an associated cross wall. A slot received the E gate post. The earlier cross wall/gateway complex was dismantled. The main section of walling defining the E side of Croft-An-Righ was built against the new buttress. deposits reflected periodic landscaping since the late 19th century, when the area was raised and levelled by up to 0.5m to create the present park and plantation. A rubble spread may be levelling or demolition debris from reduced residual walls associated with the late medieval abbey/palace plan. 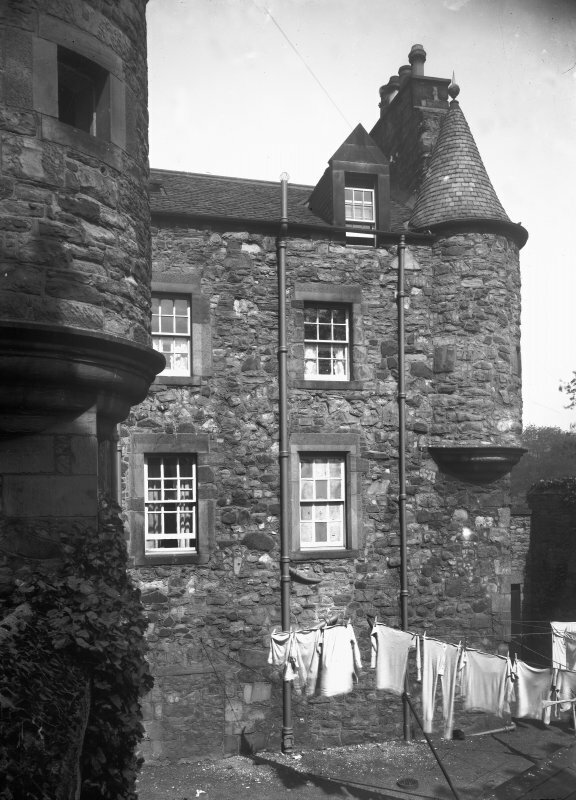 NT 2696 7407 Two short programmes of standing building recording were completed at Croft-an-Righ House, which lies NE of the Palace of Holyroodhouse. 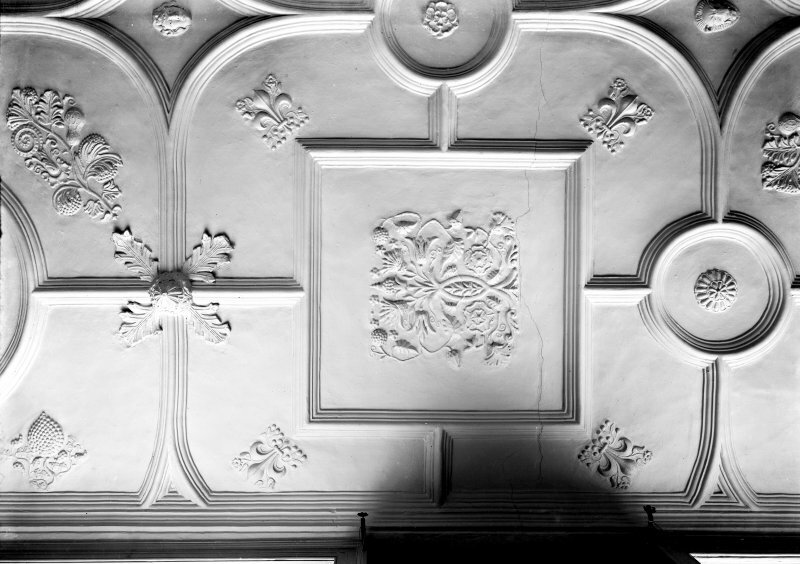 The work was completed as part of a programme of repair and conservation that focused primarily on the plaster ceiling at first floor level in the N range and the room immediately above. 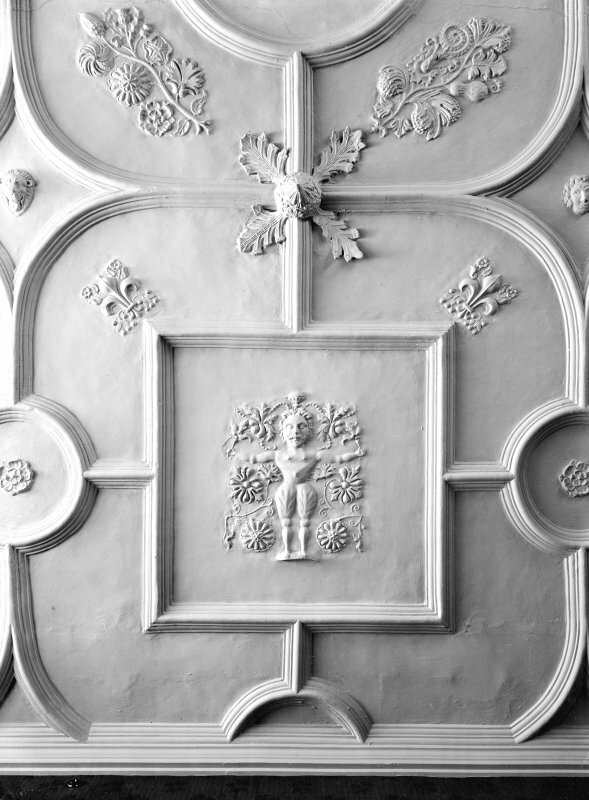 The work consisted of the detailed recording of newly exposed timber features, primarily a sequence of floor joists and fragmentary panelling in the N range at second floor level. The work was completed in two stages. 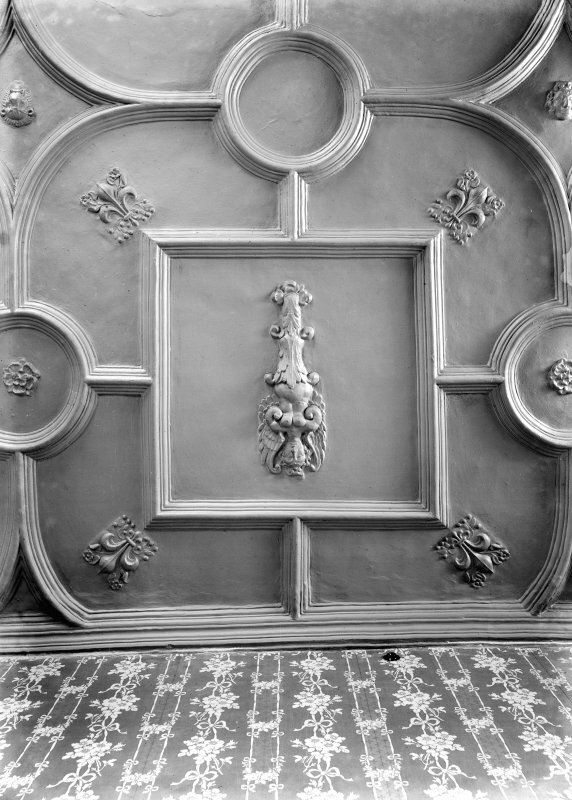 The first on 4 November 2011 focused on the floor joists and the second on 14 June 2012 on a fragment of painted panelling. The results of the work suggest the sequence of building and repair at Croft-an-Righ consists of six main phases. 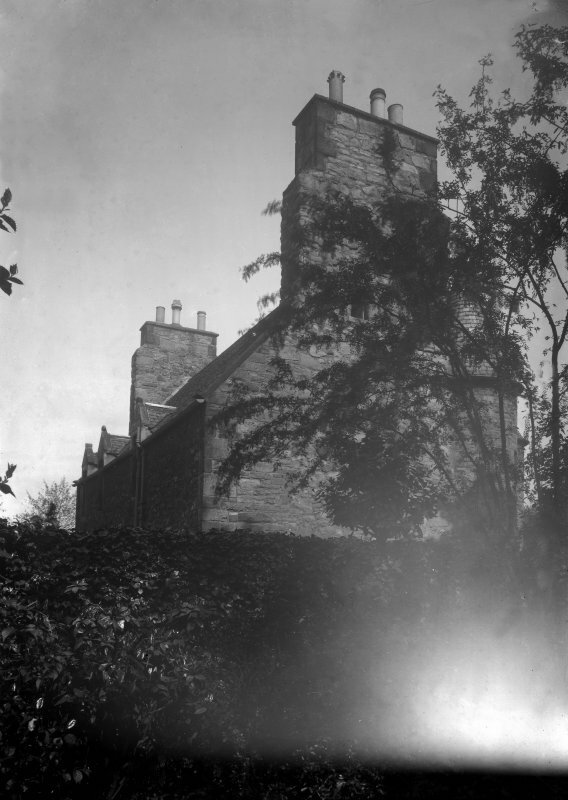 Phase 1: Purchase by the Earl of Airth The acquisition of Croft-an-Righ House happened around the second decade of the 17th century after the marriage of the Earl of Airth (c1591–1661) to Agnes Gray in 1612. The house was habitable by this time, but may not have had its current footprint. Phase 2: Extension The Earl spent considerable expense on the extension to the house and commissioned masons, quarriers, slaters, wrights, smiths, glaziers, painters and plasterers. It is probable that the footprint of the current house emerged during this building campaign. Phase 3: Rebuilding The house was destroyed in a fire shortly after the completion of Phase 2. 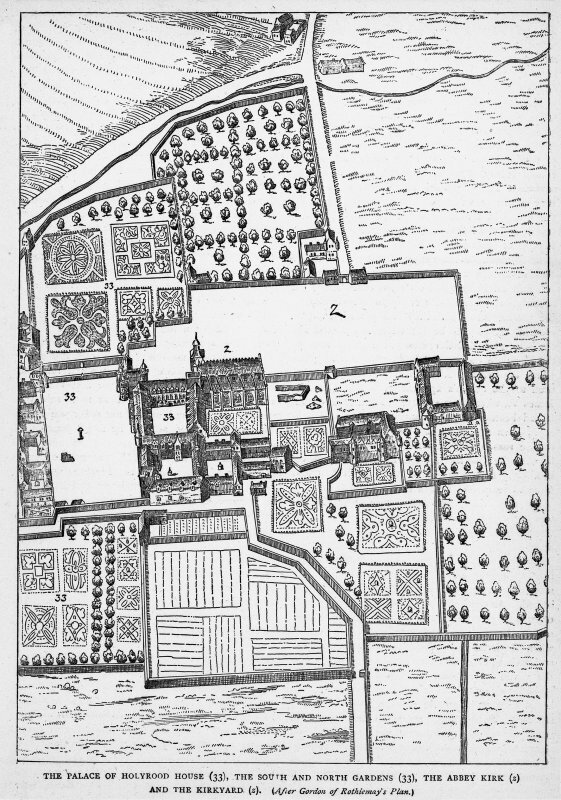 However, as Gordon of Rothiemay’s view of Edinburgh (1647) shows an intact building with a turreted two-storey W range and a one-storey N range, the house was rebuilt between c1620 and 1647. 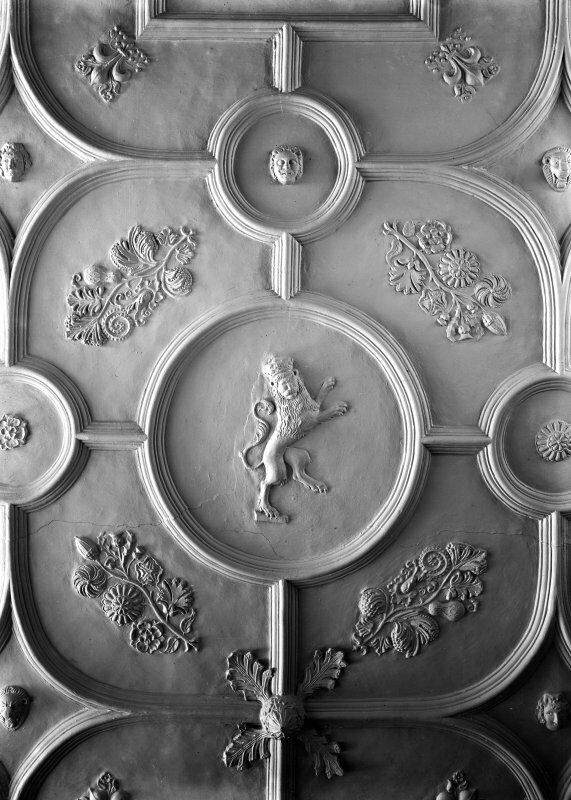 The plaster ceiling over the first floor of the N range was probably created during rebuilding and it is possible that the space above the plaster ceiling was not used for any residential purpose. Phase 4: The second floor of the N range The N range must have acquired its current profile after Gordon of Rothiemay had completed his view of Edinburgh. 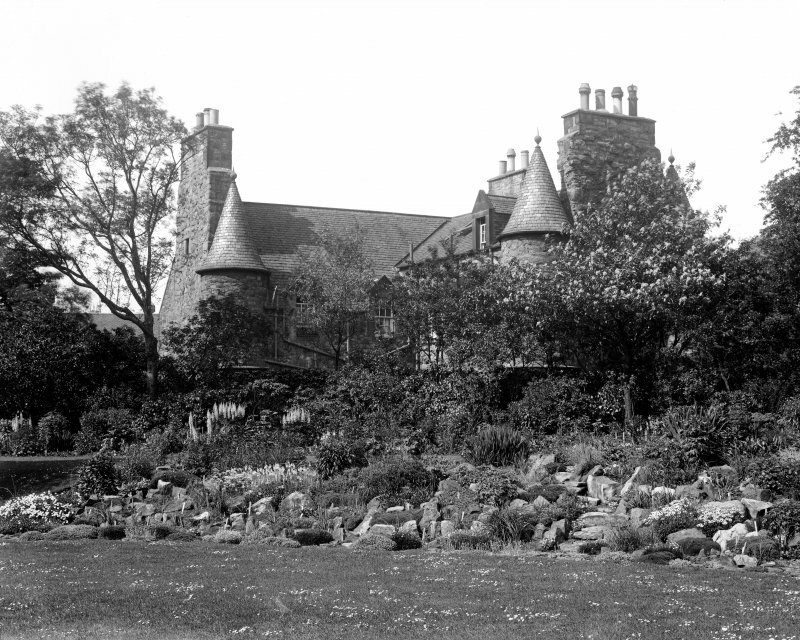 As the extant chimney disposition on the W range differs from that visible on Rothiemay’s view, it appears that the entire upper floor of the house was altered after completion of Phase 3. 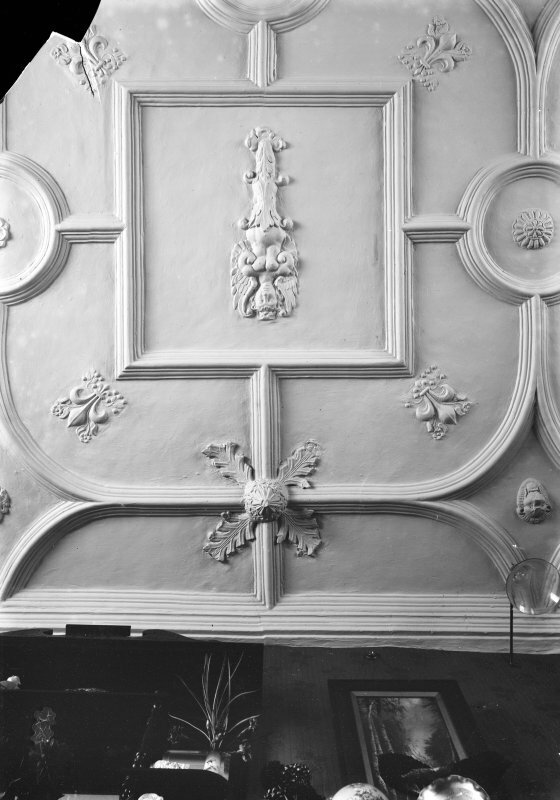 Phase 4 saw the introduction of dormer windows, fireplaces and decorated wooden wall panelling to the second floor of the N range. 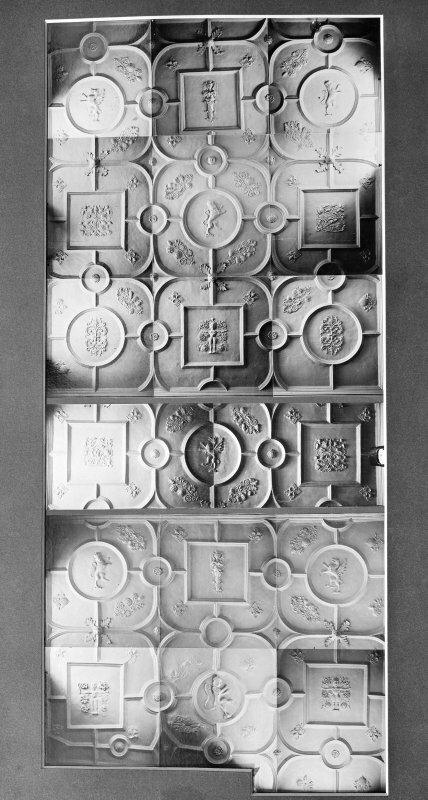 The panelling is characterised by the rhythmic arrangement of stiles, rails and panels, and expresses classical architectural ideas rather than the typical appearance of Scottish pre-Civil War wooden wall and ceiling decoration. 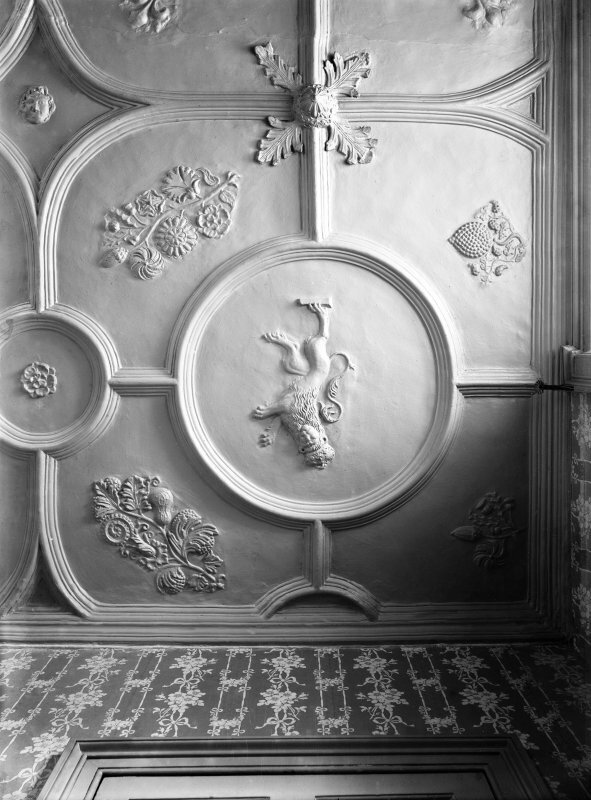 It is not clear whether the panelling received its painted decoration immediately after the installation of the wooden walls. 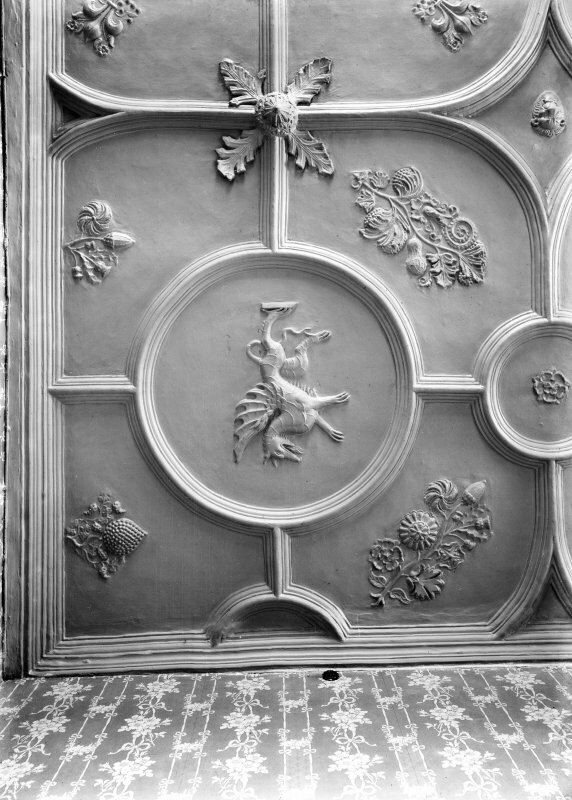 The style of the marble imitating decoration appears to be 18th-century in character rather than 17th-century, although the panels could have been repainted during the 18th century. Phase 5: Restructuring The second floor of the N range shows evidence for significant restructuring that must have been completed before c1892. 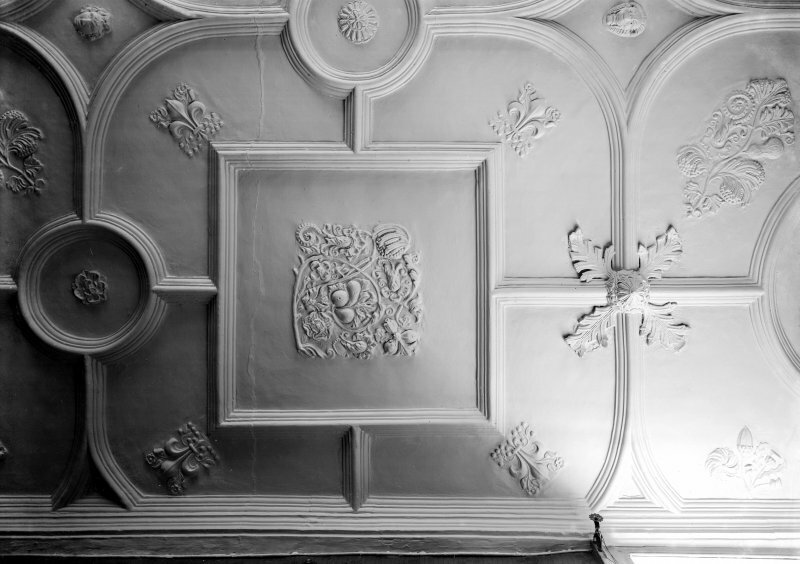 This building campaign saw the installation of three separate rooms, a wall cupboard and a lath and plaster ceiling. 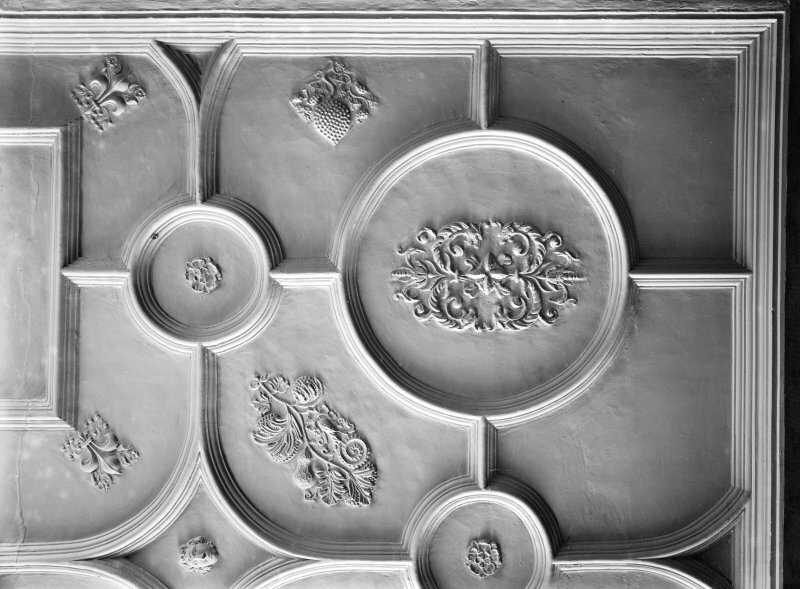 It also included the reinforcement of the 17th-century ceiling joists, in an attempt to relieve the load bearing ceiling timbers from vertical load. 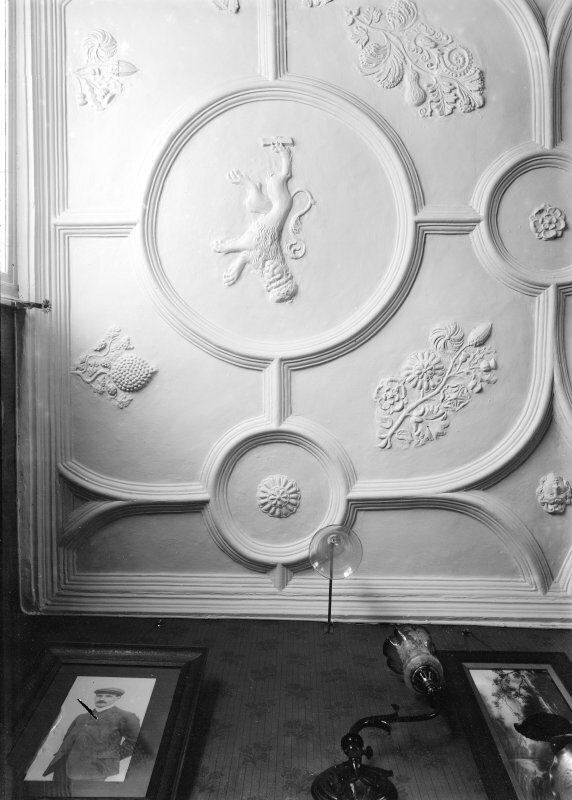 This operation coincided with the creation of a new substructure for a new set of floorboards and may also have involved concealing the decorated wooden panelling with wallpaper and fabrics. 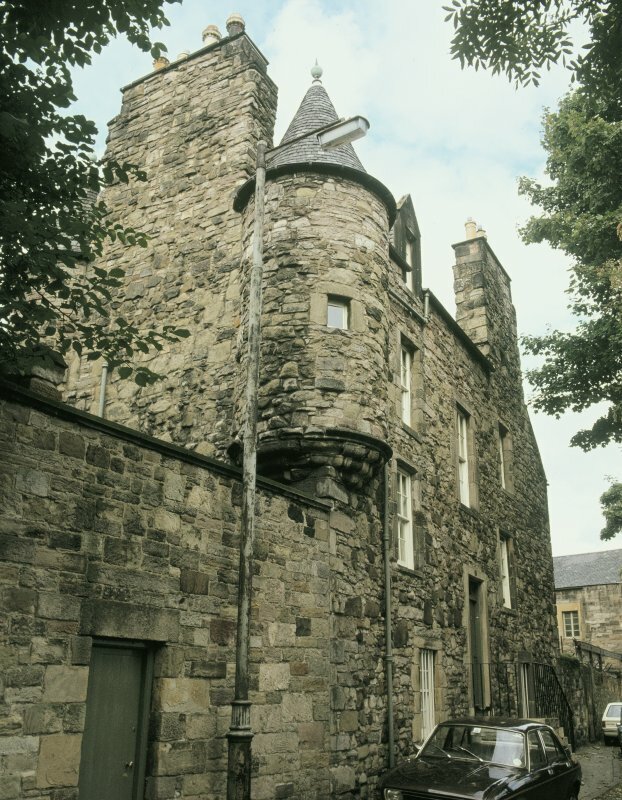 Phase 6: Remodelling the second floor All but one of the partitions were removed after the publication of Castellated and Domestic Architecture of Scotland in 1892. This operation saw the installation of grooved-and-tongued floorboards and industrial plasterboard. 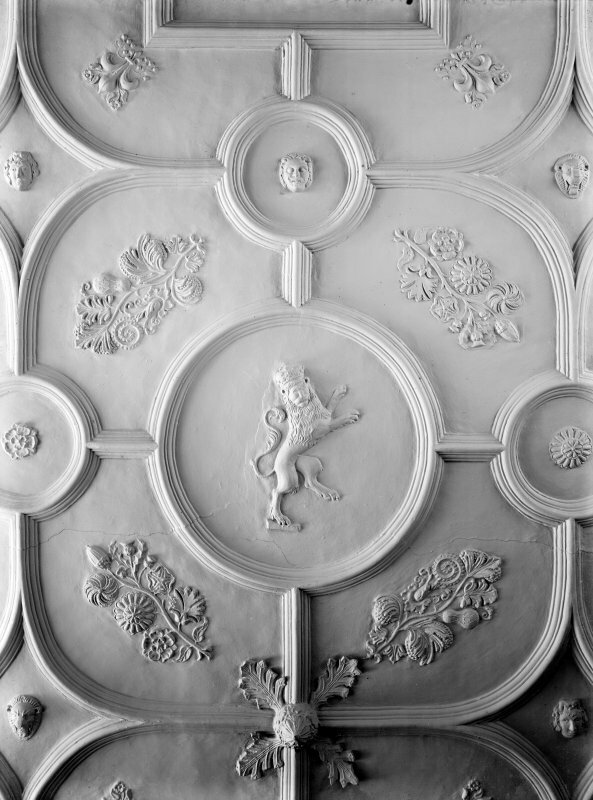 Plasterboard was invented in the USA by the late 19th century and appeared in Europe no earlier than WW1, suggesting that this work took place in the second quarter of the 20th century. 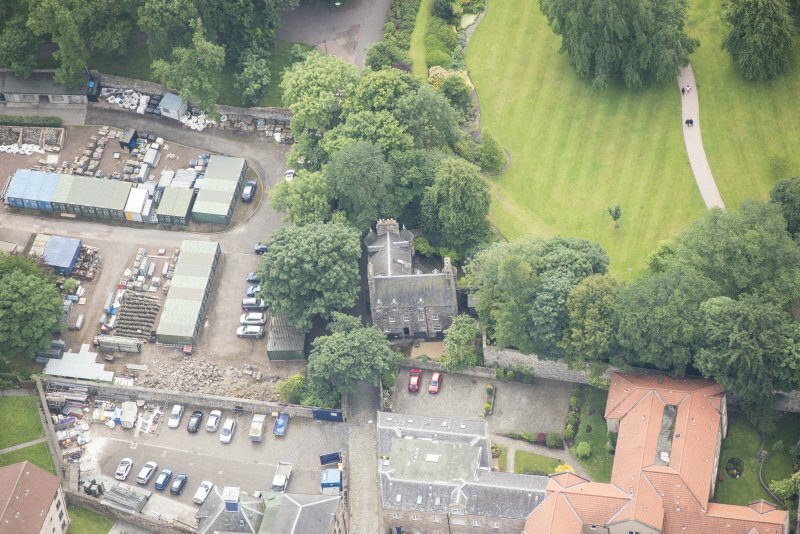 NT 2695 7407 An evaluation consisting of the hand excavation of a foundation trench for a new flight of stairs was carried out, August 2017, within the scheduled monument of Holyrood Abbey (SM13031). No finds or features of archaeological significance were recorded.